By breaking their ‘legs’, cancer cells will lose the ability to migrate and spread, or metastasise. It is this deadly spread that effects vital organs such as the liver or brain that is most likely to kill a cancer patient. 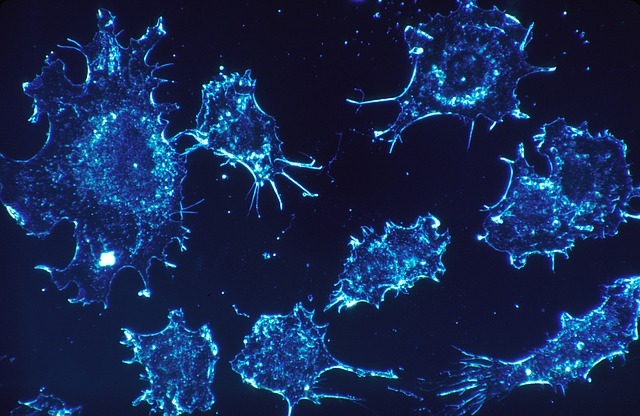 Cancer remains as the second deadliest disease in the U.S. Unfortunately, there aren’t any indications this statistic will change for the better any time soon. For the current year, the American Cancer Society estimates that around 1,688,780 new cancer cases will be diagnosed and of that number, 600,920 will result in deaths. It’s a widely accepted notion that early detection is a person’s best defense against cancer because once it spreads, it’s virtually impossible to treat. This process of spreading is technically referred to as metastasis, and it’s what makes cancer so deadly. So far, there’s no drug or treatment that focuses on stopping metastasis. It’s quite surprising really, considering it’s acknowledged to be the primary cause of cancer deaths. That may soon change, though. Just last month, a research team at Johns Hopkins reportedly found a combination of drugs that could stop metastasis from happening by stopping the proteins responsible for telling cancer cells to migrate and spread. Now, a team of researchers at the Georgia Institute of Technology is reporting that they may have found another way to deal with metastasis. And it’s by ‘breaking cancer’s legs’. As things currently stand pattern-wise, cells are able to move because of a support structure called cytoskeleton, whose functions include forming leg-like structures called filopodia and lamellipodia. Normally, these legs help cells move within the tissue they are in. But in cancerous cells, excessive production of these legs occur, giving malignant cells the capability to travel and migrate to other locations. To prevent this movement, the team used gold nanorods — tiny rods made up of gold atoms — which they introduced locally to lab-cultured cancerous human cells. They coated the nanorods with RGD-peptides — a molecule that sticks to integrin, the protein which prompts the cytoskeleton to overproduce lamellipodia and filopodia. In the first part of the experiment, the gold nanorods targeted integrin, which effectively stopped overproduction of the cells’ legs, and consequently slowed down the process of migration. In the second part, the team heated up the gold nanorods with a laser, which ended up melting the cancer cells and mangling their ‘legs’. The procedure didn’t just stop metastasis from taking place. It was also discriminating enough not to affect healthy cells, particularly because the integrins that cause overproduction of lamellipodia and filopodia are only present in cancerous cells, but not in healthy cells. The laser they used was also gentle enough not to cause burns or tissue damage, which means the treatment can be done repeatedly without any harmful side effects. The team at Johns Hopkins says they deliberately didn’t kill all the cells in their experiment because if they did, they wouldn’t have been able to observe if they were able to stop the migration or not. However, they can just as easily adjust the treatment to kill all the cells as needed. Actual trials on humans have yet to be done. But researchers believe their method would be ideal in treating head, neck, skin and breast cancers as the depth of their nanorod injections will be enough to reach tumors on these body parts. If human trials turn out to be successful — and we’re hoping they do — cancer could eventually be demoted from its long standing position of being one of the world’s deadliest diseases.